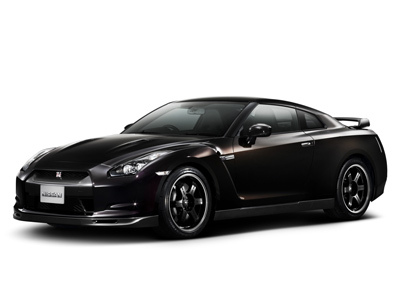 Nissan Motor Co., Ltd. has announced a new limited production Nissan GT-R Spec V model, which goes on sale at seven specially selected Nissan dealers throughout Japan next month. The GT-R Spec V is targeted at enthusiast drivers who desire race car-level performance in a street-legal vehicle. Developed around the multi-dimensional Nissan GT-R sports car, the new Spec V model builds on the original’s “ultimate super car that anyone can enjoy driving anywhere, at anytime” philosophy. The Spec V includes unique body, interior and performance equipment and modifications, raising the GT-R’s performance to even higher levels. The GT-R Spec V’s new exterior features include a carbon fibre rear spoiler, a carbon fibre grille and carbon fibre brake ducts. It is available in Japan exclusively in Ultimate Black Opal (RP) body colour. Inside, the Spec V’s unique two-seat interior (non-Spec V GT-R models also include a two-place rear seat) offers special Recaro carbon fibre bucket seats, while carbon fibre insets embellish the rear centre storage box, instrument panel and other trim areas. Performance is enhanced with a new high gear boost control device, which momentarily increases boost of the engine’s twin turbochargers for greater torque in the intermediate-to-high speed ranges to provide a more powerful feeling of acceleration, while also allowing the engine to operate at a lower speed for improved fuel economy. Other modifications include a titanium-coated exhaust system and carbon-ceramic brakes that provide powerful stopping performance. The GT-R Spec V is also equipped with light weight, racing-style forged aluminium wheels that were developed for this model and have been sold by Nissan Motorsports International (NISMO) since September 2008. The lighter unsprung weight provided by the new wheels, together with the enhanced braking capability, an exclusive suspension and high grip tyres, combine to deliver the Spec V’s exceptional performance. The Nissan GT-R goes on sale locally in early April. There are no current plans for the Spec V to be released in Australia.